Camille Orridge is a Senior Fellow at Wellesley Institute. Previously, while at TCLHIN, Camille made health equity an increasing priority. Some of her achievements include launching Language Services Toronto, a telephone interpretation service for non-English speaking patients of Toronto’s hospitals that markedly improved aspects of access to Toronto’s hospitals. Her efforts on the Resource Matching and Referral Program and the Integrated Client Care Project that patients receive timely care, and the right care, and receive necessary supports to remain in the community. 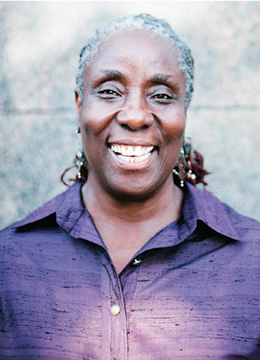 Camille is a passionate advocate for social change and health equity. Among her many achievements, she co-founded Pathways to Education, the successful stay-in-school program for high-school students. In 2012, Camille was among the top 25 Women of Influence in Health and previously in 2011, she was awarded the Health Equity Council Woman of Distinction Award. In 2014 she received the Excellence in Medicine Award from the African Canadian Achievement Awards. Camille Orridge holds a Master’s degree in Health Administration from the University of Toronto.